This print features a little boy dressed up as a superhero. He is wearing a colorful red cape with a green mask. 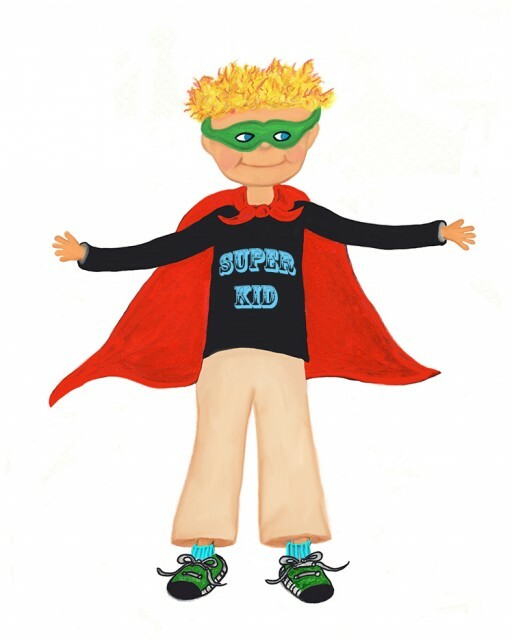 Across the front of his black shirt are the words SUPERKID! This print is ideal for any little boy who loves superheros. This design is also featured as a 5 X 7 greeting card. 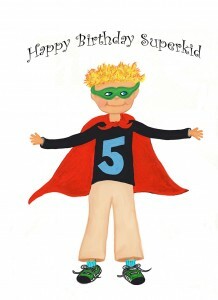 The little boy has the number “5″ printed on the front of his shirt and the card reads, “Happy Birthday Superkid”. What a fun way to wish any little boy a Happy 5th Birthday!